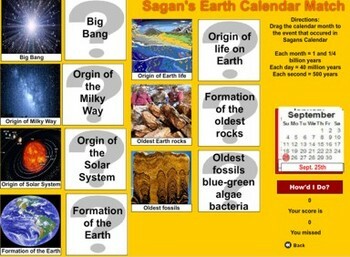 Interactive look at the history of the earth. 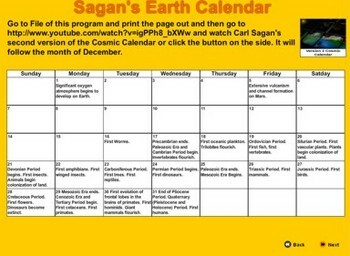 Links to YouTube video and Sagan's Calendar. 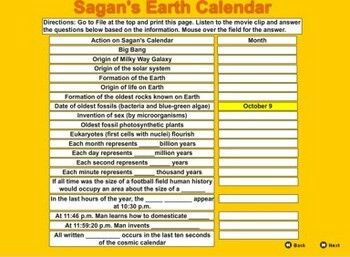 Two electronic worksheets with mouse over answers and drag and drop - both with answers. 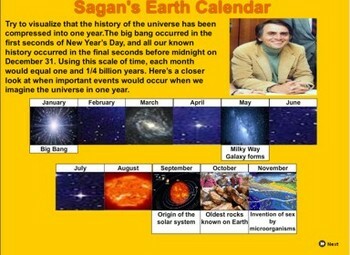 Video clips of both versions of the cosmic calendar. Runs off the Flash Player - Check to see if you have the updated Free Flash Player. Go tohttp://helpx.adobe.com/flash-player.html</a> to update your computer.